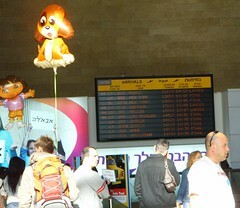 hjertesakene til frp watch 5 years ago today at 1:00 pm, my plane landed in Haifa, Israel. I was starting 18 months of service at the Baha’i World Center. I waited for 2 hours at the airport because the person who was picking me up got a flat tire. I had some time to kill, so I took a photo of the screen that showed my flight. petite télé pour voiture click It was December but it was warm, and I slept in the car, but when we came around the side of the mountain, the city was spread out in front of me, and it felt like coming home. Overwhelmed, everything felt a little bit surreal. 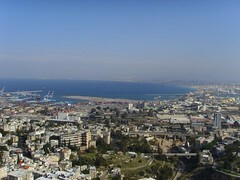 My aunt and uncle were in the same apartment building, a childhood friend turned out to be one of my roommates, and I had the best views from my apartment: the Shrine of the Bab, the city of Haifa, and the Mediterranean. das duo sterben statt erben Everything seems better in hindsight, of course. I remember being incredibly lonely, but also really happy. Very few of us had internet at home, and every day things felt a little more distant everywhere else. One of the advantages of not having internet or tv for the first 10 months was the sheer amount of books that I read. I was 23 years old, in a new life. emploi chauffeur finistere Even 3 1/2 years after returning to the United States, I still miss it. I miss the Shrines, the year-round flowers, the history and age of Israel, exploring (wish I had done more of that! ), the people, the warmth…(I may have been one of the few people that LOVE hot weather). Everything. http://preventfresh.xyz nba 3 point list I miss it every day. http://anotherbase.xyz/2018/08 jouet mac donald du moment Soooooo beautiful. This really took me back, Thank You Sholeh Joon. I remember the day you arrived like it was yesterday …I can’t believe it has been five years. lang eller kort stamme visit I’ve been thinking back, too. Most of the greatest experiences in my life to date happened in the Holy Land…. http://drinkcontain.life/2018 hvordan ser man hemmelig nummer you know – i completely forgot we didn’t have internet at home. if someone had asked me that 3 minutes ago, i’d have answered ‘of course we did don’t be silly’. but, you’re quite riight – we really didn’t. http://preventfresh.xyz/2018 marianne leder randlev børnehave hi sholeh!